In 1940 Carl Jung coined the terms “New Age” and “Age of Aquarius” to label the paradigm shift he felt was necessary in the West: a fundamental shift in human relationships and in our relationship with the environment. 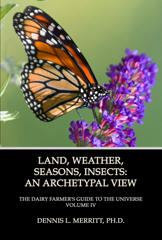 The Greek myth of Hermes stealing Apollo's cattle can serve as a mythic base for the New Age and for ecopsychology, an important new branch of psychology that explores how our perceptions, values, and behaviors affect the environment. 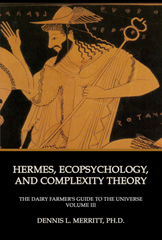 The Hermes/Apollo myth illustrates how the Greeks brought the scientific, rational psyche (Apollo) into symbiotic relationship with the mythic and irrational (Hermes). Hermes is the god of psychology, businessmen, advertising, storytelling, and dreams. Through dreams we can find our spirit animals and experience sacred landscapes, helping us connect to the environment and appreciate Native American sacred sites.. This program will examine the 18.6-year lunar maximum cycle and its connection with a bear effigy mound found here in eastern Wisconsin and the bear stars in the north and circumpolar (bear cult) traditions. All may be of very ancient origins from the old world that spread both east and west. As women were members of bear cults and the celestial bear was said to be female, many women were regarded as great healers with shamanistic abilities, perhaps the first people recognized as such. 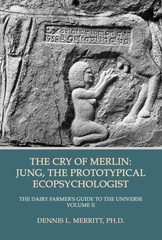 The program is rich in symbolism, myth and cosmology framed in a Jungian perspective. The mythology of the ancient Goddess cultures that articulated the qualities of the Divine Feminine must be integrated in modern men and women to attain a full and balanced consciousness. This begins with the individual and expands outward for the benefit of society, whose wisdom can be disseminated at the speed of light via global communication. The well-being of the earth and its people depends on male and female in balanced conjunction at the level of the heart. Joseph Campbell understood this as the true meaning of the Virgin Birth – a template for compassion and self-realization for both sexes living in earthly form. World mythology is replete with stories of masculine adventures involving struggle, defeat, victory; journeys to strange places, battles with monsters, engaging the feminine and, eventually, attaining wisdom and fulfillment. Many of these stories initiated a man into the male mysteries and helped him understand how to live responsibly and be connected with all of life. The decline of the rites of passage have impacted masculine confidence, individuation, and personal relationships. Absent is the brotherhood of fathers, uncles, and grandfathers that can help a young male grow into a responsible human being. There is an unconscious longing in men for such relationships that, if properly nurtured, can help heal the earth. Misha DancingWaters, a practicing shaman, will share shamanistic techniques for healing the body and mother earth. Benjamin Talbot, an experienced Sun Dancer who practices and lives the medicine way, will share his experiences and insights. 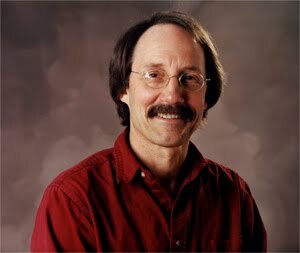 Herman Bender is an independent researcher with a background in geology (professional emphasis) and a technical field in industry. An amateur astronomer with decades of experience and approved historical consultant, he has been nationally and internationally published in the fields of archeoastronomy, prehistoric trail research, petroform research, applied geophysics and cultural landscape studies. His publishers include divisions of Oxford and Cambridge University Presses. He has presented programs on his work and research at various colleges and institutes including University of Wisconsin campuses, Princeton University (New Jersey), Marquette University, Marian University, Alverno and Cardinal Stritch Colleges, the University of Turin (Italy), the Oglala/Lakota College (Kyle, SD), the Goethe Institute of Chicago, CeSMAP the Study Center and Museum of Prehistoric Art (Pinerolo, Italy), the Denver Astronomical Society, the Badlands National Park (South Dakota) plus numerous other historical societies, public libraries and many other diverse groups..
Fred Gustafson, DMin - Jungian Analyst (Zurich) and Pastoral Counselor, is a Diplomate of the C.G. 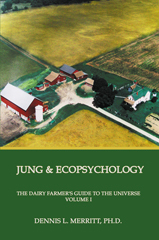 Jung Institute of Analytical Psychology in Zurich, Switzerland and an ordained minister. He lectures widely and practices as both an analytical psychologist and a pastoral counselor. He is the author of The Black Madonna, Dancing Between Two Worlds: Jung and the Native American Soul; editor and contributor of The Moon Lit Path: Reflections on the Dark Feminine; contributor to Betwixt and Between: Patterns of Masculine and Feminine Initiation, “Fathers, Sons, and the Brotherhood”; co-author of Lifting the Veil; and editor of the soon to be released Pierre Teilhard de Chardin and Carl Gustav Jung: Side by Side. Since 1984, Fred has been involved ceremonially and personally in the life and culture of the Brule branch of the Lakota Sioux in South Dakota. Nita Moore has a Bachelor of Fine Arts degree from University of Wisconsin – Oshkosh and is a long-time practitioner of holistic manual therapies as a WI licensed and nationally certified massage therapist. She is a practicing poet, artist, and musician whose spiritual training has been informed by teachers in the Ayurvedic, Native American, Celtic, Buddhist, and Christian traditions. Misha DancingWaters is a practicing shaman who shamanistic techniques for healing the body and mother earth.